In the years since the death of Mao Zedong, interest in Chinese writers and Chinese literature has risen significantly in the West. In 2000, Gao Xingjian became the first Chinese writer to receive the Nobel Prize for Literature followed by Mo Yan in 2012, and writers such as Ha Jin and Da Sijie have also become well known in the West. Despite this progress, the vast majority of Chinese writers remain largely unknown outside of China. 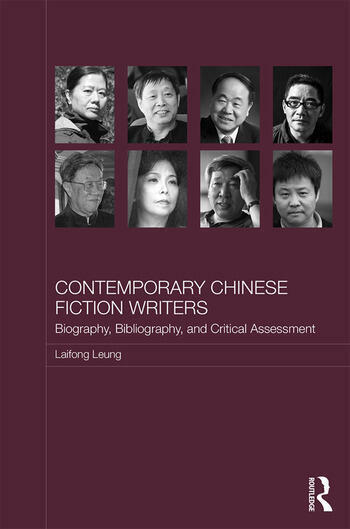 This book introduces the lives and works of eighty contemporary Chinese writers, and focuses on writers from the "Rightist" generation (Bai Hua, Gao Xiaosheng, Liu Shaotang), writers of the Red Guard generation (Li Rui, Wang Anyi), Post-Cultural Revolution Writers, as well as others. Unlike earlier works, it provides detailed, often first-hand, biographical information on this wide range of writers, including their career trajectories, major themes and artistic characteristics. In addition to this, each entry includes a critical presentation and evaluation of the writer’s major works, a selected bibliography of publications that includes works in Chinese, works translated into English, and critical articles and books available in English. Offering a valuable contribution to the field of contemporary Chinese literature by making detailed information about Chinese writers more accessible, this book will be of interest to students and scholars Chinese Literature, Contemporary Literature and Chinese Studies. Kong Jiesheng (m): From Canton to Washington D.C.
Qiu Huadong (m): A city "intruder"
Wang Shuo (m): Not only a "hooligan writer"
Laifong Leung taught Chinese literature, language, and calligraphy at the University of Alberta, Canada.